One of the things I gave up last year when I decided to reduce my use of disposable plastic was cottage cheese. I find cottage cheese to be a healthy and convenient snack that I thoroughly enjoy. The casein in cottage cheese is a great slow release protein, making cottage cheese an ideal bedtime snack. However, in Huntsville only narrow-neck plastic bottles can be recycled, so cottage cheese (and yogurt) tubs end up in a landfill. 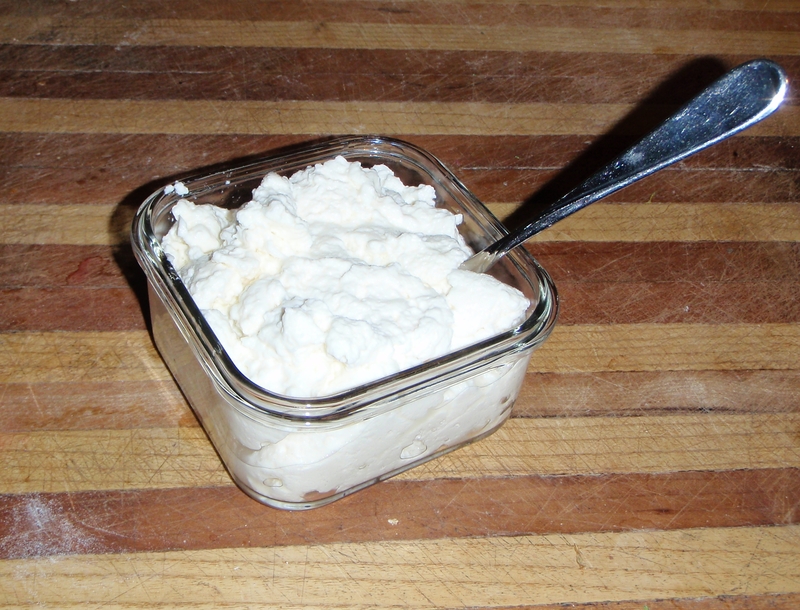 There is a much simpler method of making your own amazing cottage cheese. You don’t need any liquid rennet, or salt or heavy cream. Natural Fermentation of 2 ingredients take care of all that for you. All you need is 1gal of milk, and 1lt of butter milk (or your own kefir), stir well, cover the pot with a lid, and let sit on your counter for 12hrs. After 12hr period, check it, the liquid should be pretty thick, do not mix or disturb it at this point. Preheat your oven to 250F, take lid off the pot, and place the pot in the oven for 2.5hrs. When done remove from oven, cover with lid, and let sit until it cools down completely, the cottage cheese should be separated from the whey, collect the cheese in to a cheese cloth, and drain all liquid. Refrigerate. Done. This type of cottage cheese, can even be processed in food processor, and it turns in to cream cheese which you can use for cheesecake or other desserts. Enjoy. Letting milk sit out on my counter sounded a bit dicey to me, but I decided to give it a whirl. The cottage cheese turned out fabulous! It does take some planning, but the actual work involved is negligible. I will warn you that cooling down completely takes 6 hours or so – I wasn’t expecting that. I ended up with a large mason jar of whey, which will be put to good use in bread baking.